Karen could be best described as Glenpark’s ‘mother hen’. As farm manager in charge of more than 20 full and part time staff, she rules the roost ensuring every one of the farm’s 47,000 hens is well cared for day in and day out, seven days a week. With a love for the outdoors and a long history in farming, Karen has no issue starting the day at 7am. She begins by checking the hens and their feeding equipment, and then opens the pop-holes so they can range for the day. Then it’s time to ‘walk’ the youngsters! Because hens evolved from jungle fowl their instinct to stay in the shelter of the shed can be strong. Karen says walking the younger birds around is important to get them comfortable so they range better later on. Also crucial are the thousands of trees and shrubs that have been planted on the farm for added cover. After a morning on the ranges, Karen supervises other operations like egg collection and processing. Work officially finishes as late as 10pm in the summer when the hens are ushered inside for the night. 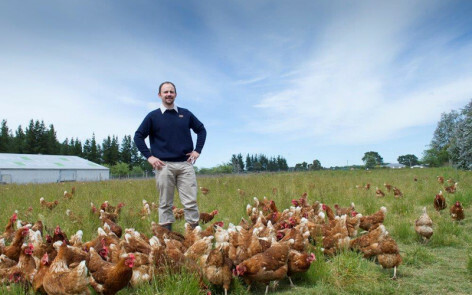 Processing more than 38,000 eggs a day, Glenpark is one of New Zealand’s largest free-range farms. 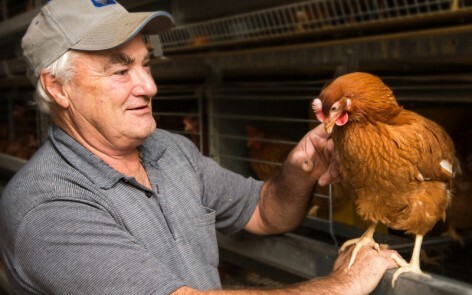 Karen cites good stockmanship, knowledge of your hens and a constant eye on the latest developments in farming as some of the most important traits in a good egg farmer – all qualities that play a significant role in her own hens’ health and performance. 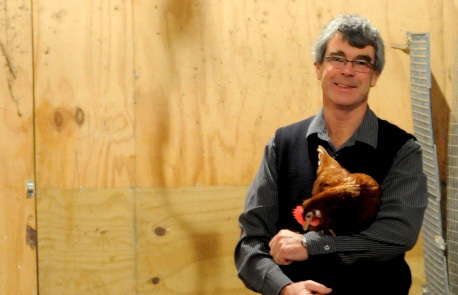 Love and care for your hens ensures their performance. Happy, healthy hens lay lots of great eggs.